Getting ready to start my '16 Maxwell for the first time in 60 years! Everything is there except for the Ignition/Transformer Coil. Wondering if any of you Maxwell experts out there have any ideas what I can use in its place. 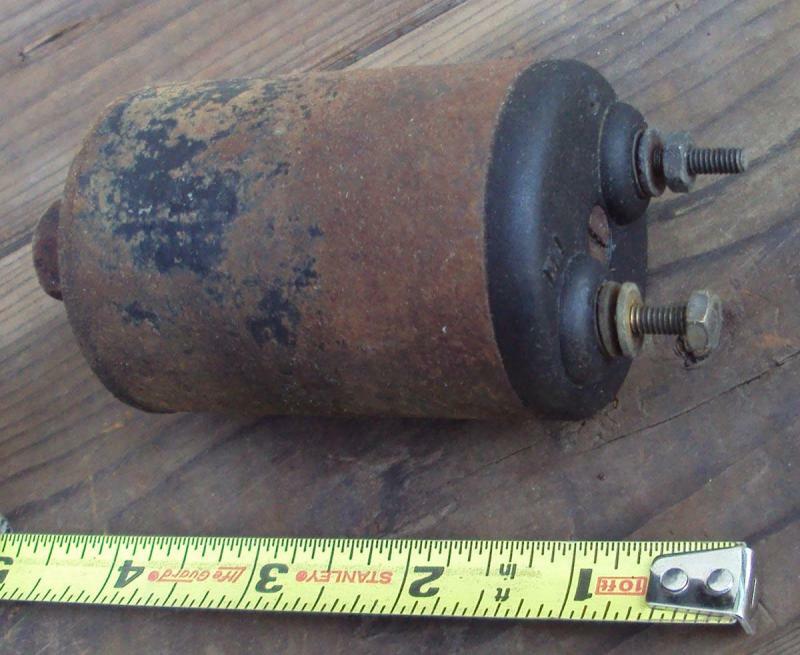 Mark, the 1917 I'm restoring has an Atwater-Kent distributor and coil and I believe yours has a magneto. Although I've yet to hear mine run yet either I have tried to learn both ignition systems. If I understand it correctly the ignition/transformer coil was used with the dry cells only. 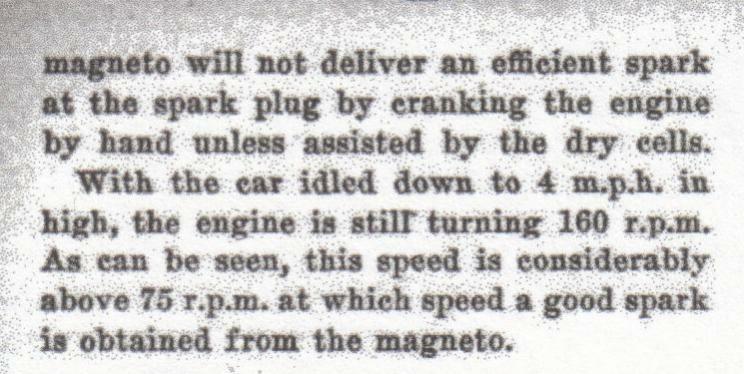 I think you can still run your car on the magneto alone. 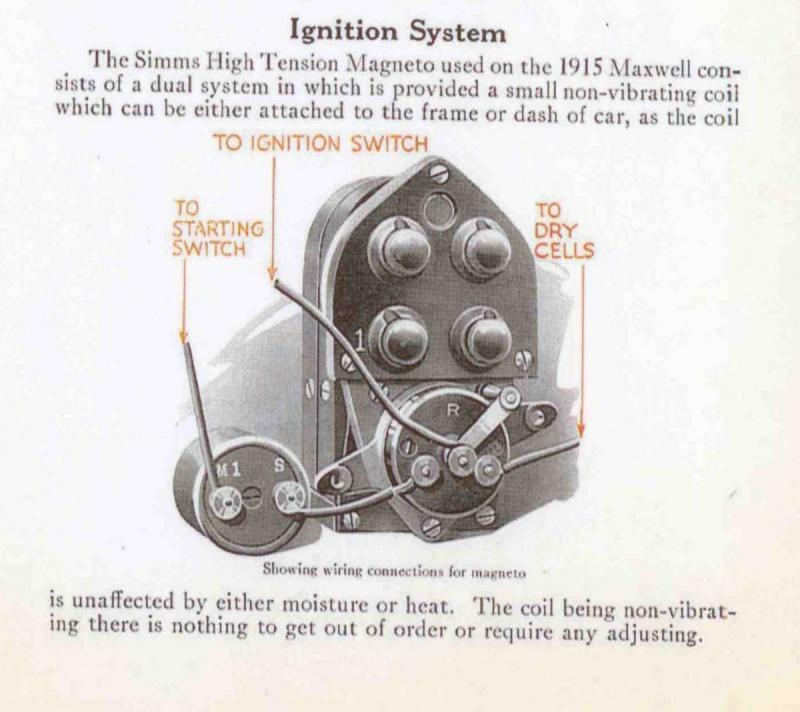 Ignition on the Maxwell car is furnished by a Simms high tension magneto assisted by dry cells and a transformer coil to facilitate starting. 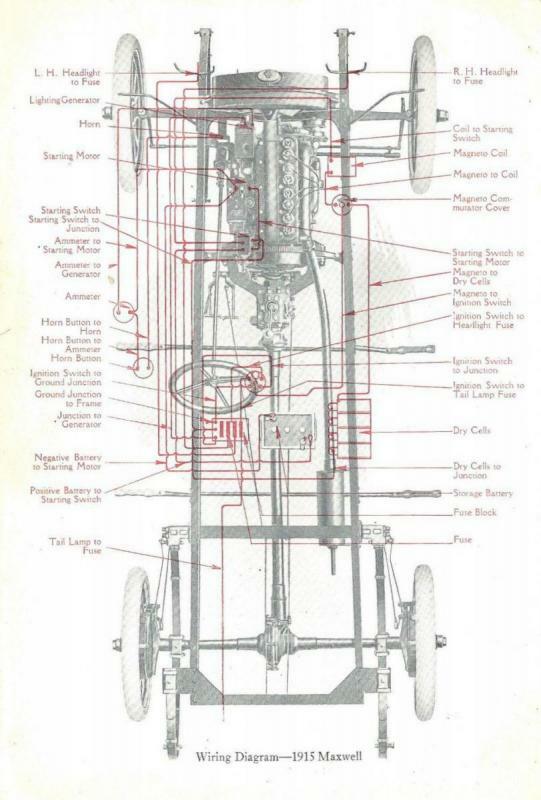 The ignition system is of the dual type, having a small non-vibrating coil which is attached to the frame of the car. This coil is unaffected by either moisture or heat, and being non-vibrating there is nothing to get out of order or require any adjustment. Four dry cells are used in connection with this system, and care must be taken to connect them correctly. This is most important, and the wiring diagram should be consulted before disconnecting or connecting any of the ignition wires. The switch operating the battery circuit is in connection with the starting switch and when the starting pedal is depressed, thereby throwing the starting motor into operation, the current flows through the switch, coil, and magneto. As soon as the engine starts or the starting pedal is released, the circuit is automatically disconnected and the engine runs on the magneto. It is readily apparent that the operation is extremely simple with the additional advantage that it is impossible to unconsciously leave the swtch on and thus run down the batteries. To start, the spark should be fully retarded__not only to eliminate the possibility of back-firing but because the spark is actually hotter when the spark control lever is fully retarded, with the engine running at a very slow speed. At medium or high speed the best results are secured with the ignition partly or fully advanced. Mark,sorry this reply is so disjointed but I stand corrected on my previous answer, I knew I had another piece to this puzzle but couldn't find it and then I had to figure out how to get it on here! This may explain why I see so many Maxwells with magneto's other than the correct Simms units. Hope it clears up the systems function for you. Mark C. I have a 1916 Maxwell which has been restored ground up. I too have the same problem you seem to have in that I find it difficult to start the engine withe the electric starter as the engine simply does not turn fast enough for the Simms-Huff Magneto to produce a good spark at cranking speeds. Were you ever able to find anything on the "Intensifying Coil" itself? Seems to me that would be the key to solving our problems. I have never been able to find any literature about the coil itself or where I could get my hands on one. Would appreciate information you might have. 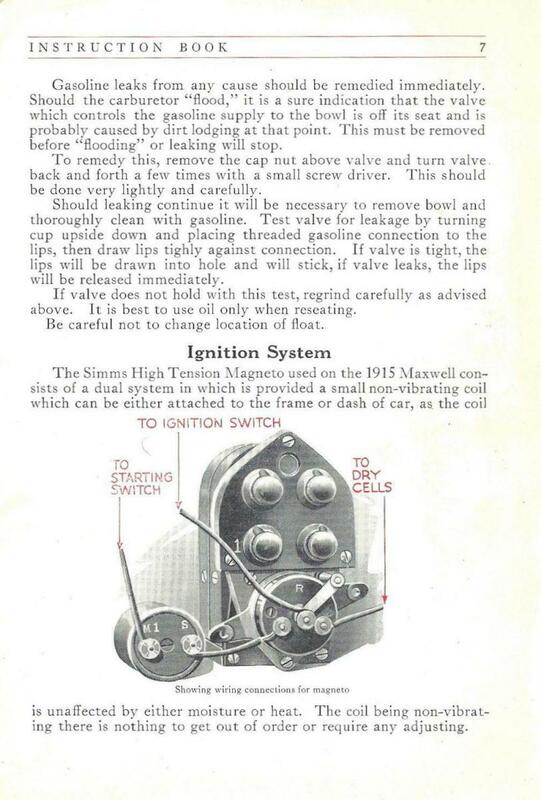 Simms-Huff magneto ignition was used on all Maxwells until late 1917 when a Simms labor strike caused Maxwell to switch to the new Atwater-Kent Type CC distributor ignition system. 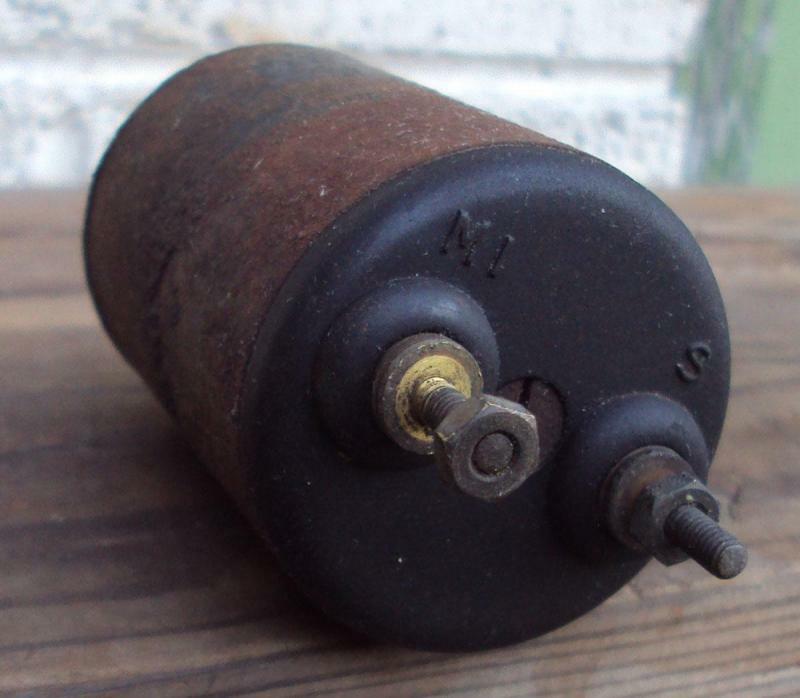 i have a genuine 1914 car it has the ignition/transformer coil on it , i know this is going back a bit but do you want a decent picture if i can get it off? I'm contacting you from the UK. I've just seen your posts relating to the Maxwell coil. I am in the process of restoring a 1915 Maxwell 25 and am having trouble starting it using the magnito. 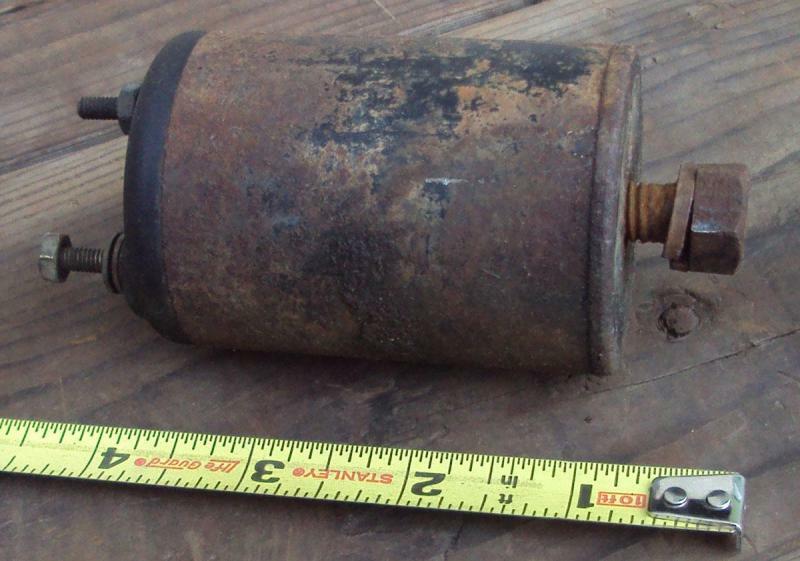 I noticed from this Forum that there is some sort of coil in the ignition system. I do not understand what this coil does and what I can replace it with. I have a collection of Veteran cars and have never seen a coil such as this, as the photo doesn't show an HT lead coming from it. Is anyone able to advise please? Emile, I'll try to see if I can help you with my limited knowledge based on researching ignition systems for my 1917 Maxwell. 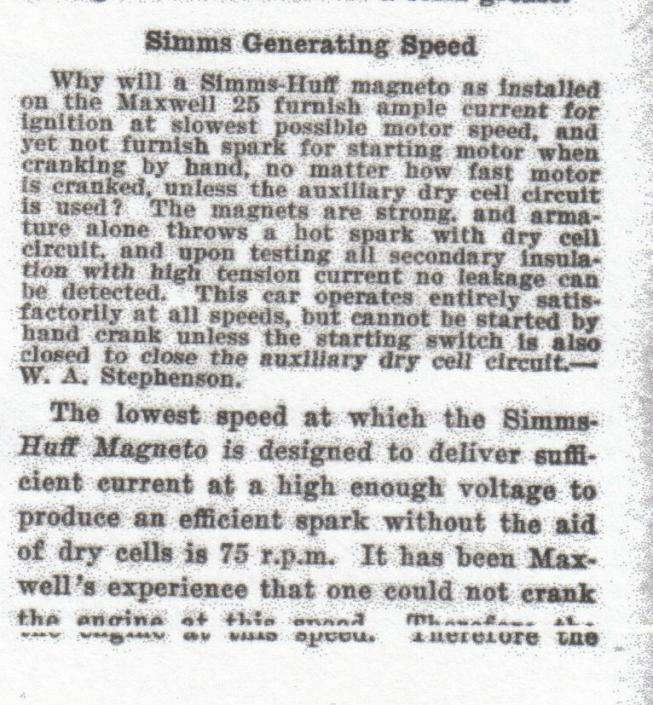 My first question would be do you have an original Simms-Huff magneto on your car? If not you probably don't need the intensifying coil as Simms-Huff magnetos are the only ones I've ever seen incapable of generating sufficient spark at low rpm's to start the motor. 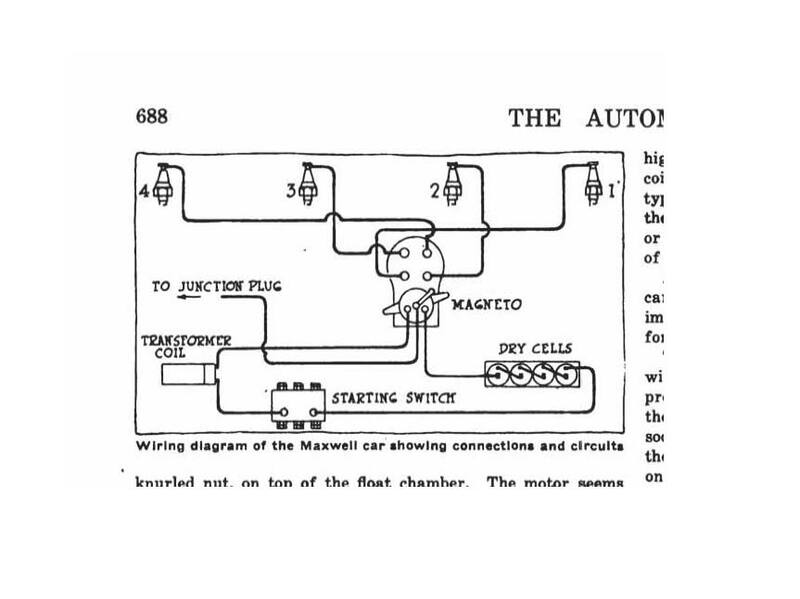 In the 1915 wiring diagrams the coil is there to increase the spark from the dry cell batteries until the engine starts and the magneto reaches sufficient rpm to generate enough spark to run the engine at which point the starter pedal is released and the dry cells are disconnected from the ignition circuit. Electrical systems have always been my weak point so please don't take my statements as being expert advice I'm just trying to pass on what little I've learned. I would think you could use almost any 6 volt coil to intensify the spark from your dry cells or battery you currently have in your Maxwell. Yes I do have the original Simms-Huff magneto. I understand that you say the coil intensifies the spark, but on your photo there is no connection for a HT lead. I have a 1907 Germain that has a modern coil to help start, but you can run an HT lead to the back of the magneto to help the spark. What sort of coil do I use? is it on found on any other car. Emile, while trying to find an answer to your questions I realized my suggestion to use any 6 volt coil was wrong and shows my lack of electrical knowledge. If I understand the problem correctly most 6 volt coils were used with a distributor whose points and condenser helped to control the coil's spark and using the coil by itself wouldn't work in your case. I was wondering if you could use a vibrating or trembler coil instead? 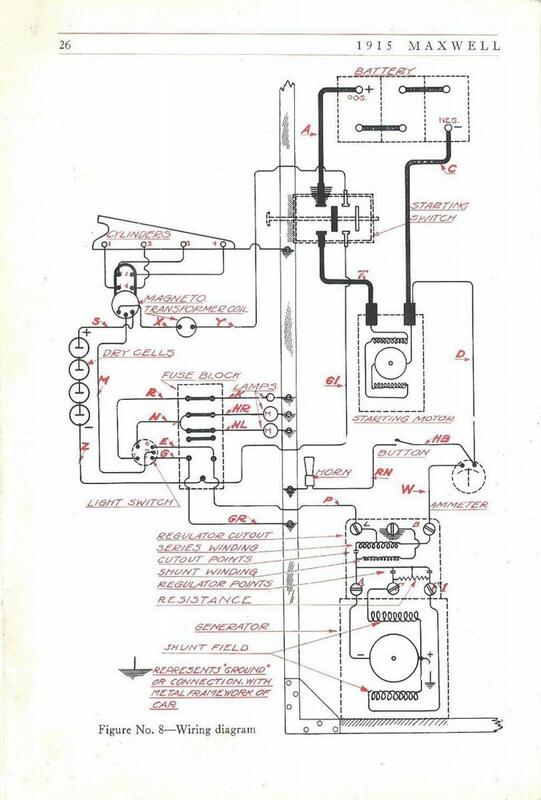 that being said I STILL don't understand how your Maxwell's original coil functioned. I'm hoping someone with better knowledge will chime in and educate us both. Hi All, thanks for the guidence. Do I understand this right: I can put a normal car coil in the system and run an HT lead into the magneto? Or have I misunderstood. Won't this break my magneto having extra power pumped into it? No ! you cannot run HT into the magneto. The "transformer coil" is just a primary of 1.2 ohms in series. 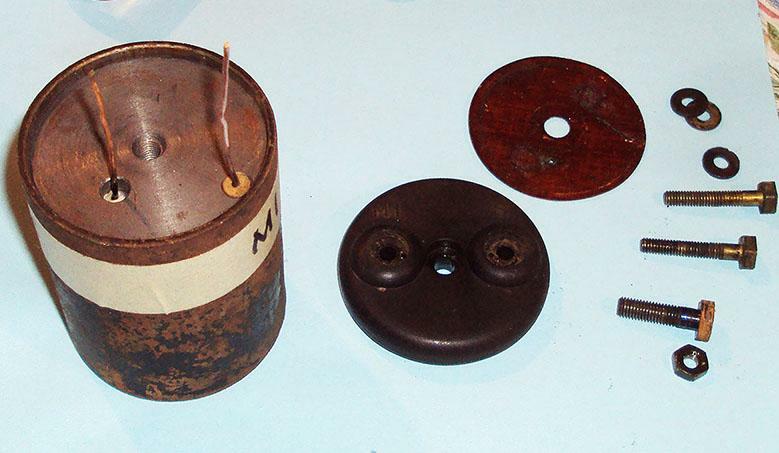 The batteries produce an inductive kick when the points open. It won't break the magneto, it will discharge the magnet or ruin the coil. 23hack, thanks for posting this and helping us out. Answer this for me. If he wires his car according to the Maxwell diagram isn't he just running HT to the cap on the magneto which the magneto then distributes to the 4 cylinders until engine starts and not actually running HT to the magneto's internals? Found these in my files, hope they add to this? Thanks for putting me right and the photos. I did think it was a bit strange to run HT into a magneto. I now understand how it works. What I don't understand is what can I use as this induction coil. There must be something out there that is easy to get hold of and will work. I suppose the other choice is to replace the magneto, but that would be a great shame as I like to keep things as original as possible. The photos Howard put up are exactly what my magneto looks like. 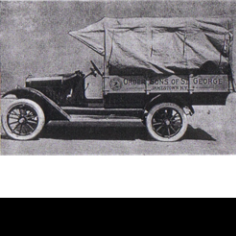 Emile, I don't know if they can help or not but when I was at the end of my rope on my 1917 Maxwell's dash regulator cutout and coil problem they rebuilt both for me. It would be worth a try to see if they could custom make something for you. Dennis, I have spoken with a number of magneto repairers here and in the UK. Surprisingly only two had heard of an induction coil connected to a magneto. One said his father used to make them some 30 years ago, and if I could supply him with one he could copy it, but he would have to dismantle it first, which would make the original useless. 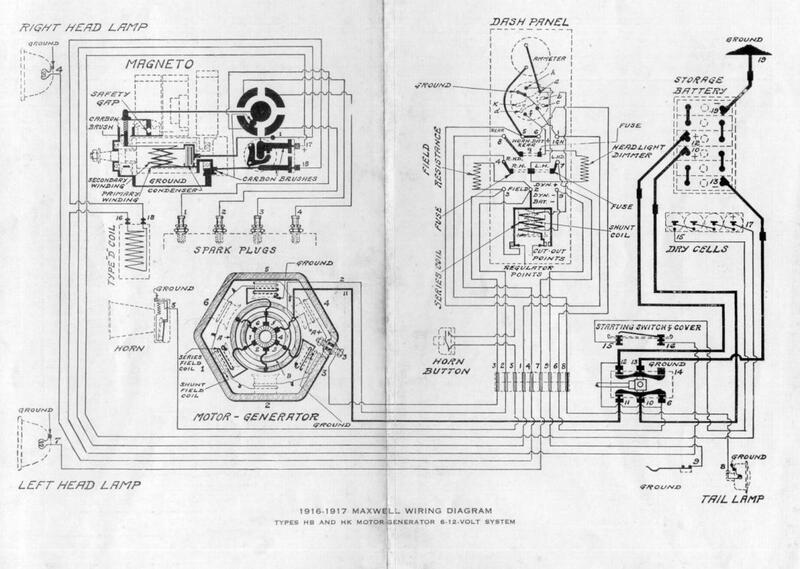 My second to last resort is to try to connect a normal coil and condenser to the points and use the distrbutor of the magneto. I have to ground the magneto. My very last resort is to replace the magneto.